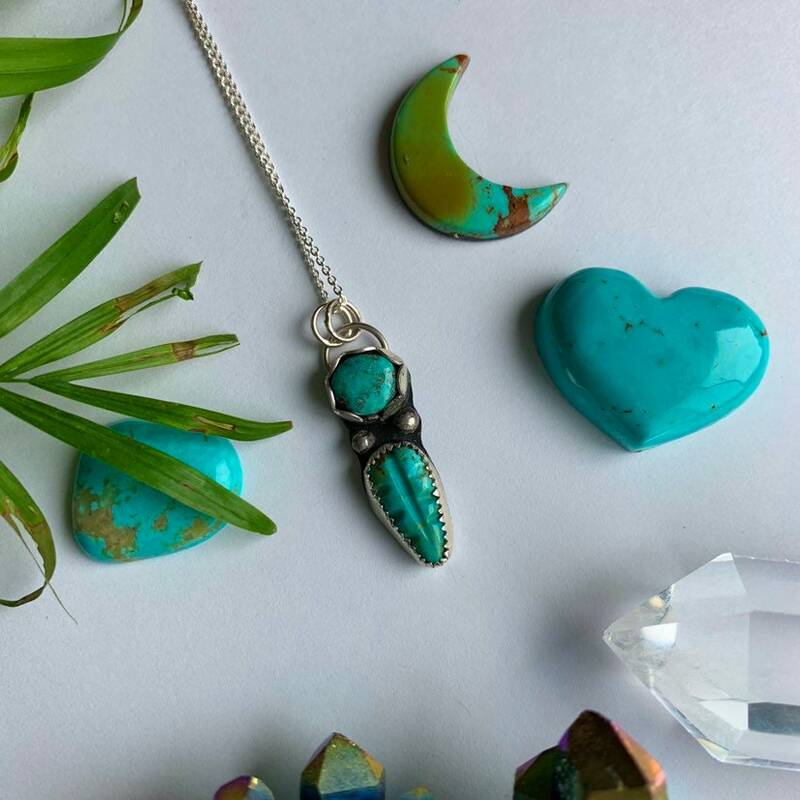 I crafted this pendant with genuine Nevada Turquoise and sterling silver. Using my saw and torch to shape and form the pendant, I wanted to make something dainty for spring! Perfect gift for the nature lover in your life. 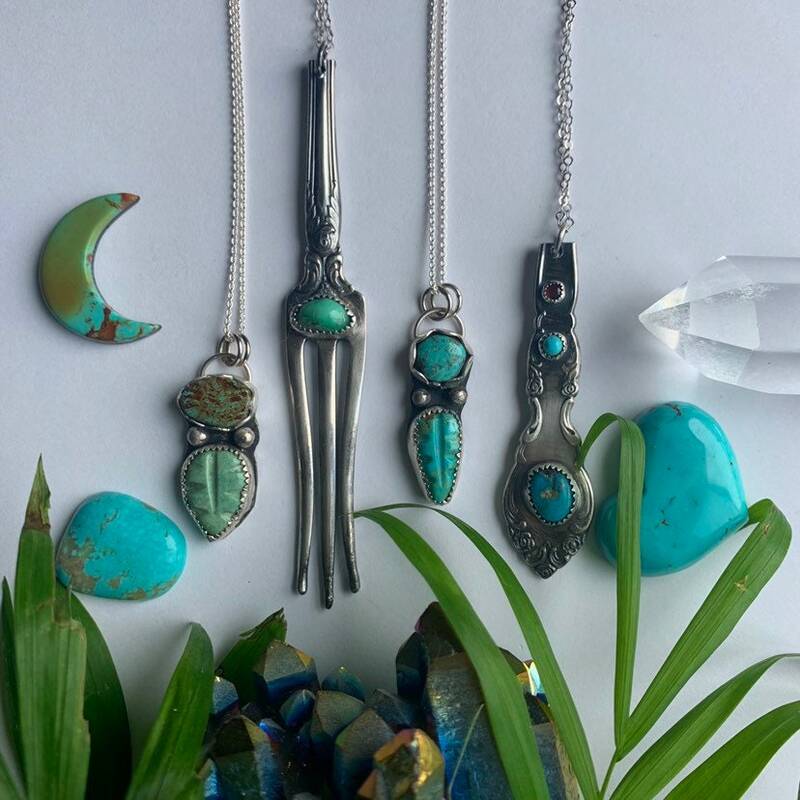 I handcrafted this necklace with sterling silver and genuine Turquoise.